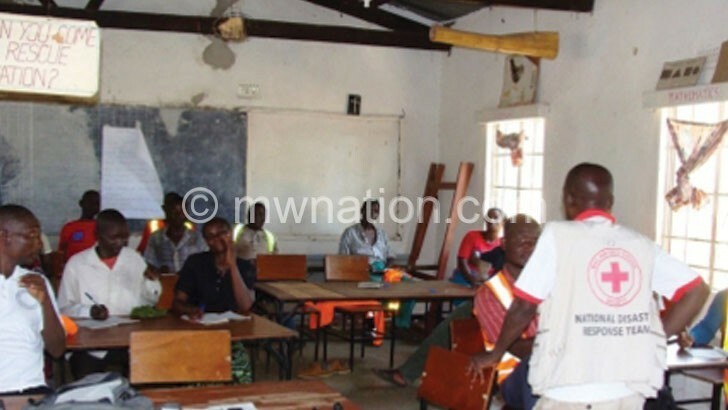 Communities in Chikwawa have condemned some beneficiaries of the social cash transfer programme for abusing the initiative. The concerns were raised on Thursday during a two-day training organised by Malawi Red Cross Society at Bodza Teachers Development Centre in the district for different community structures such as Community Based Disaster Response Team (CBDRT), Area Civil Protection Committee (ACPC) and Area Development Committee (ADC). Malawi Red Cross Society (MRCS) is conducting the training on Social Cash Transfer which the organisation plans to undertake in response to effects of disasters to help beneficiaries to recover. One participant to the training, Lifred Dogo from Group Village Gangu said the abuse is sometimes triggered by some ineligible beneficiaries who find themselves on the list. “These are the people who spend the money on beer and enter into polygamy. I believe that since we sometimes engage wrong people, we are likely to have such challenges,” said Dogo. Chikwawa district social welfare officer Rosemary Mahata said people need to know they have the right to a decent living as stipulated in the Constitution. She said government has the responsibility of ensuring that vulnerable groups enjoy their rights. “Any abuse of the support is equivalent to abuse of their rights. Government and other partners need to work closely to ensure monitoring of the interventions is done and that regular community sensitisations and establishment of community structures for safeguarding people’s rights are put in place,” Mahata said. Chikwawa MRCS risk reduction officer under Enhancing Resilience Project in Malawi, Darius Chiwaula said the organisation engaged local stakeholders because they are key in facilitating a smooth cash transfer distribution. Social Cash Transfer Programme, whose support is from European Humanitarian Commission and Civil Protection, targets the whole country.